Cynthia "Cici" Brown graduated from Westbrook College (now the University of New England) and was a buyer for Saks Fifth Avenue in NYC prior to her marriage to J. Hyatt Brown in 1965. Active in civic and charitable organizations in the Volusia County area, she has worked with the Museum of Arts & Sciences in Daytona Beach continually since 1971 and served for three years as President of its Board of Trustees. Brown was a founding member of the Cultural Arts Council of Volusia County and served on that board for 12 years. She also served on the Florida Humanities Council Board for several years. Brown is a Sustaining member of the Junior League and a member of the Garden Club of the Halifax Country where she takes particular interest in Conservation and Scholarship. 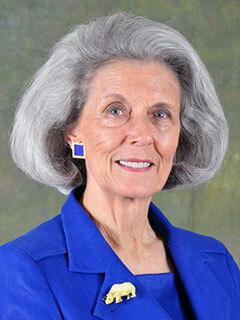 She has been a member of the Stetson University Board of Trustees since 1999. Before becoming a Trustee, she served the university as a member of the College of Arts & Sciences Board of Advisors, including a term as Chair. Brown was awarded an Honorary Doctor of Humane Letters degree by Stetson University in 2007.